Recently I've been thinking about what a shame it is that I have my private pilot's license but haven't piloted an airplane in over five years. Of course flying is pretty expensive and requires a lot of time, study, and attention to do it safely, and I've been pretty busy with other things. But I miss it. 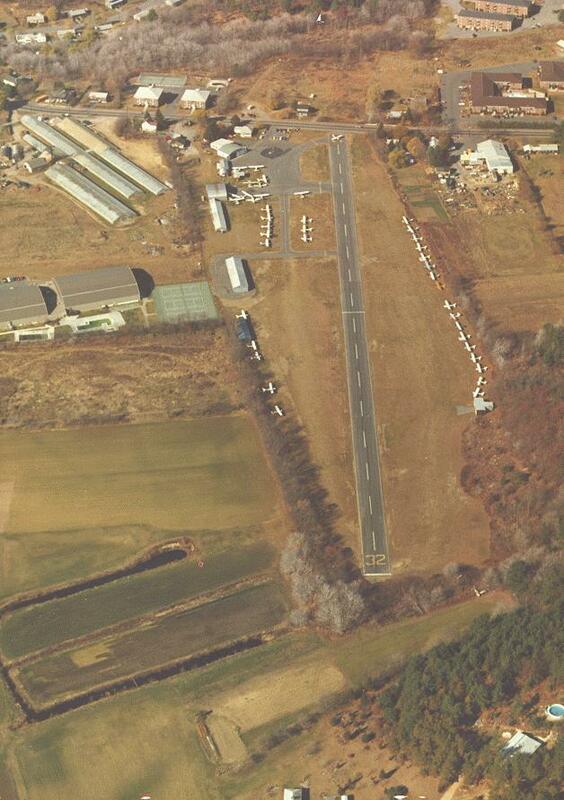 Today I was in Marlboro, MA for brunch with my daughters when I happened to drive by Marlboro Airport (9B1). I had never visited 9B1 before, so I stopped to check it out. 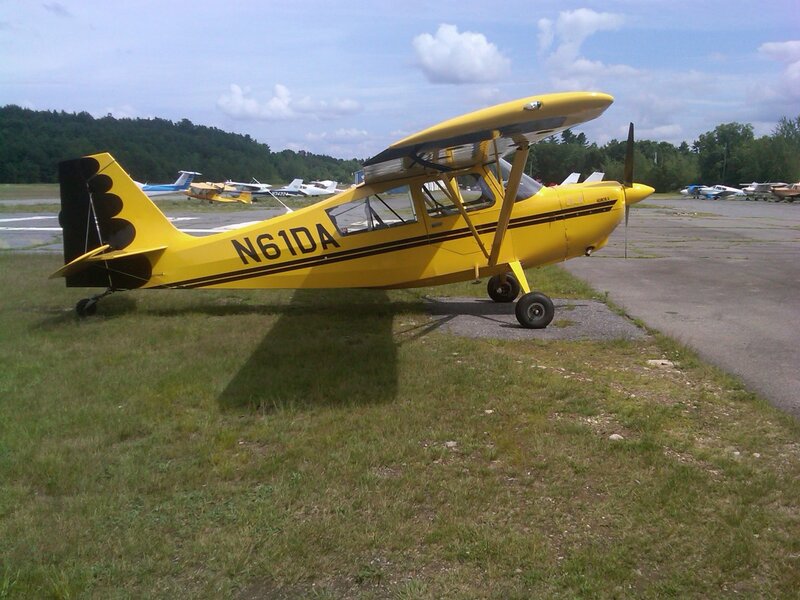 A student pilot (I assumed) in a Cessna 172 was practicing takeoffs and landings, so I watched for a while. 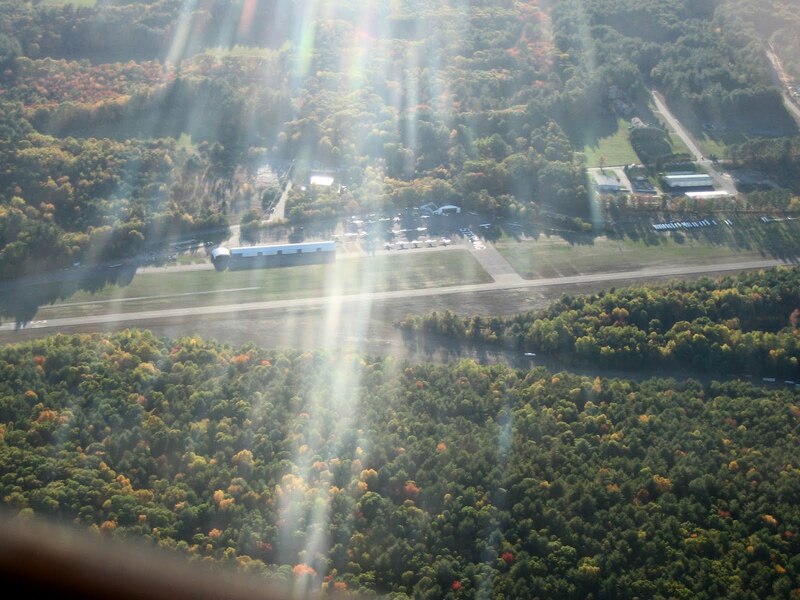 I noticed that the single runway is quite short, with tall trees quite close to the approach end that was in use at the time (runway 32, landing to the northwest). The nearby trees reminded me of Hopedale Airport (1B6) where I took my first few flight lessons back in 1997, although when I went into the FBO to ask about rental and instruction rates, I learned that Marlboro's runway is much shorter than Hopedale's (by about half, 1659 feet vs. 3172 feet!). Marlboro Airport is about half an hour from home, and since I now work in Marlboro, I started thinking about what it would take to get current in a C152 or C172. Probably a few hours of refresher lessons to prepare for a flight review (BFR) before I can rent an airplane and fly solo again (plus I will need to get a current medical certificate). The short, narrow runway would certainly encourage disciplined flying and provide an additional challenge. I took this "artistic" picture of Sterling Airport on a late afternoon glider flight looking west on the downwind leg. 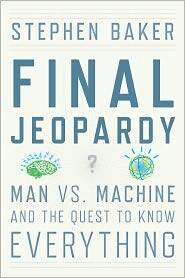 I just finished a wonderful book, Final Jeopardy: Man vs. Machine and the Quest to Know Everything by Stephen Baker. Baker had inside access to the IBM team that developed Watson, the amazing question-answering computer system that bested two human champions on Jeopardy early this year. The book quickly jumped the queue in my Amazon Kindle app after I read the sample chapter. I've always been fascinated by artificial intelligence, and I had already read a bit about Watson in a New York Times series last fall and through a number of web sources, but I somehow missed this book. It came out in February, shortly after the Watson shows had aired. While Baker discusses some of the technology behind Watson, it's really the story of a group of talented humans who took on a great challenge. IBM had already been working on natural language-based question answering systems, but when the "Blue J" project started in 2006, they were nowhere near the level of any human player, let alone champions like Ken Jennings and Brad Rutter. The book reminded me most of Tracy Kidder's The Soul of a New Machine which I read sometime in the 1980's. As interested as I was in Watson, I missed the original Jeopardy broadcast due to travel, and I had seen only a few brief excerpts. While reading the book, I decided I should really watch the whole three-show tournament, which I was able to do (without commercials) in about an hour thanks to YouTube. I was also curious to know more about the technology of Watson than I had learned from Baker and the other general things I had read online. I found a great paper from AI Magazine's fall 2010 issue, "An Overview of the DeepQA Project" (PDF), written by the IBM Watson project leader David Ferrucci and 11 members of his team. It is really incredible to learn about what goes on behind the scenes to allow Watson to answer virtually any Jeopardy question in 3-5 seconds with such incredible precision and confidence. "Confidence" is a big part of why this "QA" technology is different from something like Google's search technology which usually gets you into the neighborhood of an answer, but depends on having a human in the loop to determine the "right" answer. Watson has no human in the loop, so it needs to "know what it knows" to decide whether to "buzz in" on a Jeopardy question. It puts its "hypotheses" through extensive evaluation to determine its confidence in each one as a possible answer. Of course IBM does not claim that Watson is "intelligent" or that it "thinks" anything like we do, but you could say that human brains are also massively parallel computing systems with thousands of inter-communicating subsystems. Watson's subsystems are in server racks. Our subsystems are squishy. Diversity! So let's give a warm welcome to our new computer overlord cousin, shall we? A few months ago I started using Amazon's Cloud Drive service to store some of my music online. This was pretty much a no-brainer since I often buy MP3's from Amazon anyway, and these are now stored for you by default (and for free) on their cloud. You can also download them if you so choose. I don't have a huge amount of music there, about 2000 songs, mostly recent Amazon purchases. It includes about 5 GB of selected music I have uploaded, but I didn't really want to "commit" to Amazon's cloud service too quickly (other than the free part) since I assumed other things would be coming along, which of course is true. I do listen to the Amazon Cloud Player quite often since it includes a lot of my recent music, some of which I haven't bothered to download, especially a few 99-track classical collections bought on sale for $1.99 or so. The player has limited features but works quite well. A few days ago I received an invitation to join Google Music Beta (I had requested this in May when it was announced). This is a pretty good deal, since Google will store up to 20,000 songs for free (at least for now - I haven't really read the fine print, but Google doesn't seem to worry much about storage as long as they have your eyeballs). The catch is that you have to upload all the songs you want them to store for you. To help you with this task, they can look at your iTunes or Windows Media Player music files to figure out what to upload (pretty much automatically, including iTunes playlists). So it's an easy thing to do, but if you have a lot of music as I do, it's a long process. I've had it running on a good internet connection for two full overnights as well as all day today, and so far it's got about 5,800 of my estimated 20,000 songs online. I haven't paid too much attention to it except to correct occasional album cover art errors (I have a lot of MP3's ripped from CD's, most of which have cover art in iTunes, but Google sometimes gets its own and sometimes chooses wrong). The player is good though also quite basic, but this is "beta" so I assume this web-based interface will improve over time. You can start listening to music as soon as you have a few files there, which is cool. I think of it as a playable off-site backup for my music collection (though there is no provision I can see to re-download your music, so in that sense it's not a real backup). Come fall I expect to have a third cloud full of music, once Apple introduces its full iCloud service. That will be really cool because it will scan my iTunes collection and re-create it online without my having to upload most of it (I will only have to upload anything I have that isn't in iTunes' 19 million song collection - things like vinyl albums that never made it to CD that I have ripped to MP3). I think iCloud will be the real deal because it will work directly with my iPod Touch as well as our PC's and my wife's iPhone. 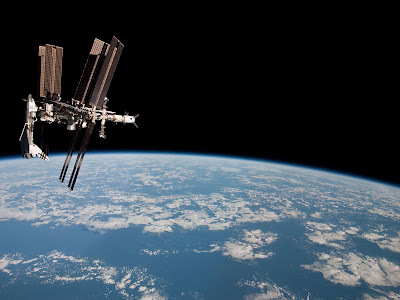 Today I was looking at some of the great ISS-Endeavour photos taken on May 23 by the ISS Expedition 27 crew from their departing Soyuz spacecraft (there's a wonderful NASA gallery here, cool video here). What a beautiful sight! This got me thinking about the fact that there's only one shuttle flight left, coming up in less than a month if things stay on schedule. Of course this is not shocking news for space enthusiasts, but it is still sad to think there will be no more flights of this amazing spacecraft. 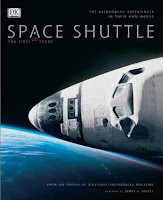 This nostalgia carried me to Amazon where I started to look at shuttle books and videos before realizing, hey, I've already got some great shuttle books and videos that I haven't looked at in ages. Not that this will keep me from buying more (especially this 30 year retrospective coming out in late August), but I ended up re-reading most of the astronaut anecdotes from Space Shuttle: The First 20 Years -- The Astronauts' Experiences in Their Own Words which was published in 2002 (looks like it's out of print now - available only from third-party sellers). This is a fantastic book with a great selection of photographs and reference material on all the shuttle flights through STS-102 in March 2001. But what makes it special are the astronauts' own words about their experiences, from the mundane to the sublime. Some comments are technical, like John Young discussing the very first reentry on STS-1, "It was a pretty good test flight, and we discovered a lot of things. For example, coming into the atmosphere at Mach 25 we got a really bad sideslip that we didn't expect, where the orbiter slipped sideways four degrees and dropped in altitude. Fortunately the software canceled it out. If it hadn't, we wouldn't be here." Some are humorous stories, like the crew of STS-95 (1998) teasing Senator John Glenn (77 at the time) about being a shuttle "rookie" and staging a little gag involving a fake "Shuttle boarding pass" that Glenn didn't have. There are a number of stories about illusions and other effects coming about from zero-G (like dropping some object just after returning from orbit, subconsciously expecting it to float). Many astronauts comment about the amazing views of Earth and on how the view of the "whole Earth" changed their lives. 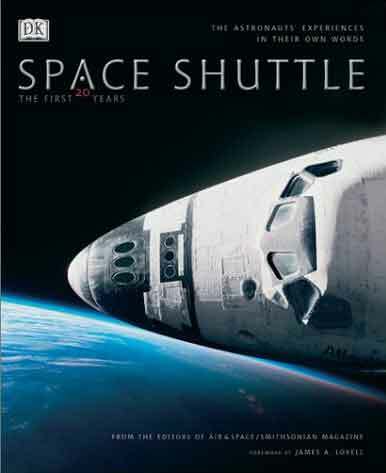 It's a wide range of subjects - about a third of the more than 250 people who flew on the shuttle from 1981 to 2001 responded, and they were told to talk about whatever experiences they chose. It's hard to pick a favorite, but there's a cool one that shows how it's all relative. Joe Edwards was the pilot on STS-89, and he talks about thinking that he was born too late for Apollo and too early to make it to Mars. At a memorial service for Alan Shepherd in 1998, he was talking with some other "younger generation" shuttle astronauts about this "born too late" idea when veteran Apollo astronaut Jim Lovell walked over. Jim wanted to say hello and to tell them about his discussion with "Neil, Buzz, and Gene" in which they decided they were born too early. Huh? Lovell said, "Well, you guys get the opportunity to go up to the space station. You get to fly the only reusable spacecraft that's ever been built, and you get to do all of these difficult and challenging things. We were just born too early. All we ever got to do was Apollo." Well, Jim, that was still something. 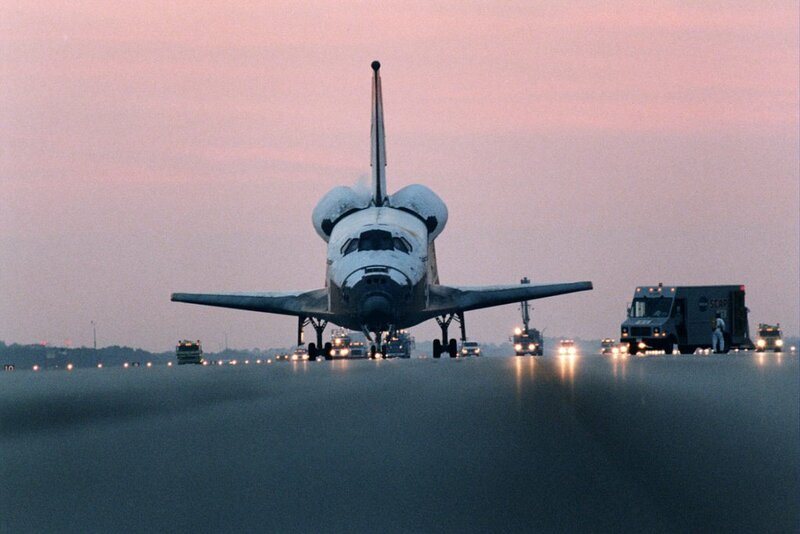 Apollo is history and in another month or so, the shuttle program will be history too. But I'm sure there will still be some difficult and challenging things for the next few generations of astronauts to do. The Carnival of Space is 200 this week! Of course that is only 200 weeks, but it's still a pretty nice number. I remember when it was just a baby, back on April 26, 2007 when Henry Cates posted the first space carnival (oddly enough) on his Why Homeschool blog. Since then the carnival has been hosted by many different blogs (including mine a few times, though not very recently) and has expanded to cover a wide range of space and astronomy subjects. Number 200 is hosted this week by Next Big Future. There are a lot of good posts, but my particular favorite is "Starship Fuel from the Outer System" from Centauri Dreams. 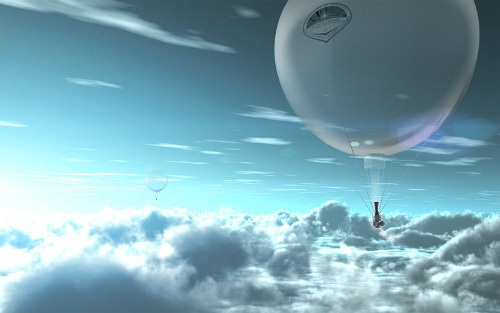 It discusses the possible "mining" of Helium-3 from the atmosphere of Uranus. While the technology for this is a few years off (on several levels), it could provide fuel for fusion reactor-driven starships as well as a source of fusion fuel for Earth's energy needs. I've linked above to the beautiful image by Adrian Mann showing an He-3-harvesting "hot air" balloon above the clouds of Uranus's atmosphere. Wow, what a concert. I saw Paul Simon last night at the Citi Wang Theater in Boston, possibly one of the best concerts I've ever attended. Paul and his incredible eight-genius backing band played for nearly two hours, covering nearly every part of Paul's incredible career in about 24 songs. 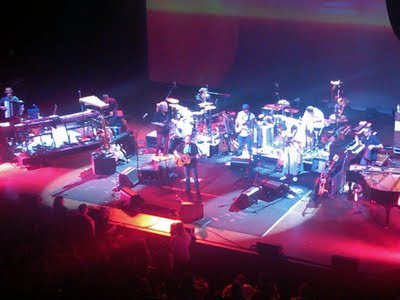 Nearly all of the band members played two or more instruments, including horns and the wide range of percussion used on songs from Graceland, Rhythm of the Saints, and the new So Beautiful or So What albums. At 69, Paul's voice, guitar playing, and stage presence are incredibly strong.The band was rock-solid on all the many styles of music that Paul's music incorporates, from delicate harmonies and background vocals on the Simon & Garfunkel classic "The Only Living Boy in New York" to the rollicking Zydeco of "That Was Your Mother" from Graceland. A few of the songs brought on nostalgic tears - "The Sound of Silence" and "Only Living Boy" from the early days, "Peace Like a River" from the first solo album, "Still Crazy After All These Years" and "Slip Sliding Away" from the mid-seventies, and "Hearts and Bones" from 1983. I was thrilled to hear "The Obvious Child" from Rhythm of the Saints as well as five of the rhythmically and melodically rich songs from Graceland (Crazy Love, That Was Your Mother, Diamonds on the Soles of Her Shoes, Gumboots, and The Boy in the Bubble) - the band was amazing on these songs (they made great use of the two drummers plus supplemental percussion and horns played by three keyboard players). Paul and the band also pulled off some unusual sounds and musical effects on five of the songs from the new album (Dazzling Blue, So Beautiful or So What, Rewrite, The Afterlife, and the quietly haunting Questions for the Angels). The sound system and engineering were also impressive, allowing all of these complex instrument sounds (plus vocals!) to remain clear and distinct. One surprise in the first encore was an acoustic version of George Harrison's "Here Comes the Sun" - as pretty as this was, I would have traded it for another one of Paul's own classics, perhaps "Mrs. Robinson" or "The Boxer" or "America," but that's OK. He has too many great songs to fit in one evening, and it was all wonderful. I was reminded again and again of the beauty and craft of Paul's songwriting, especially in the rhythms and the lyrics - the attention to every detail and the work needed to make it all sound so natural and inevitable. What an inspiration!